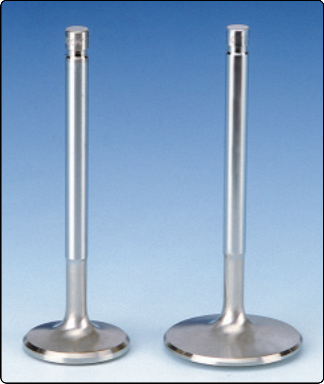 Milodon Megaflow Valves Are Lighter ! than a Ferrea valve. Representative data for Small and Big Block Chevy are shown. Stellite Tips Hardened to 58-60 Rc. *Sold in master packs of eight. - Order singles by using the Part Number with a "-1" instead of "-8".